"Keeney’s passion is to unearth the lost voices of American history -- stories of unselfish sacrifice, as he calls them -- and through those voices bring out the character of the nation we live in today." 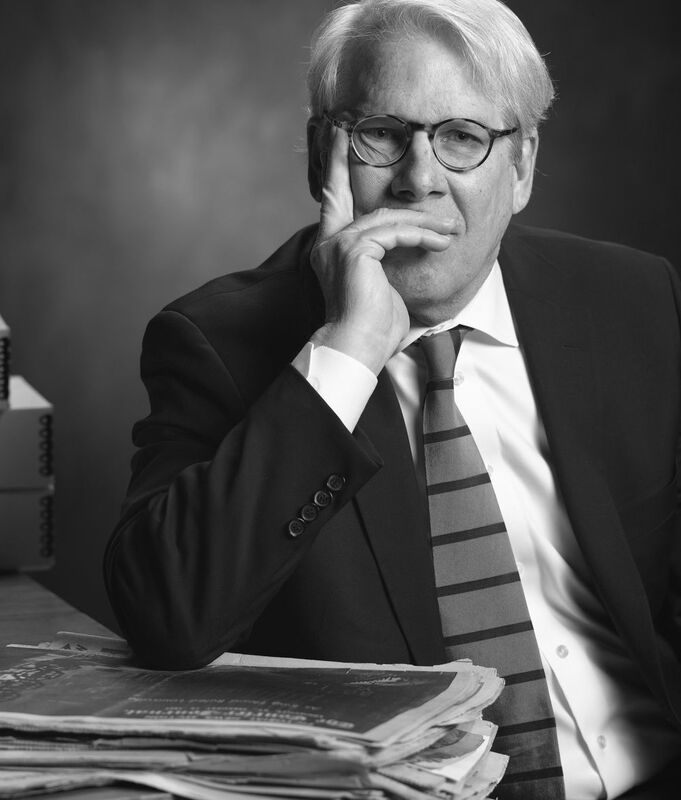 L. Douglas Keeney is the author or co-author of more than a dozen books including two New York Times bestsellers, as well as the producer or writer of more than 80 documentaries. In 1992, Keeney cofounded The Military Channel with two other partners. He independently produced a number of documentaries including Berlin 48: The Great Airlift (History Channel), The Quest For Mach One (Chuck Yeager -- History Channel), Human Guinea Pigs (human testing in the military), The Challenge of Flight, D-Day to Berlin, Frontline Pilots (Time-Life and A&E), On Target: Gun Camera Footage (Discovery). Keeney has been well reviewed by The New York Times, Bloomberg, Library Journal, Publishers Weekly, The San Francisco Chronicle, The New Yorker, Newsweek Magazine, Slate, The Wall Street Journal and numerous other publications. He was a ghost author of two best selling business books with Jim Murphy, Business is Combat and Flawless Execution. Keeney received his Bachelors and Masters degrees from the University of Southern California and was a sponsored post-graduate student at the Institute of Advanced Advertising Studies in New York City. During his years in marketing he was the runner-up for the Arthur Young Entrepreneur of the Year Award, the former Chairman of the Wireless Communication Association, and the recipient of numerous awards for new product development. 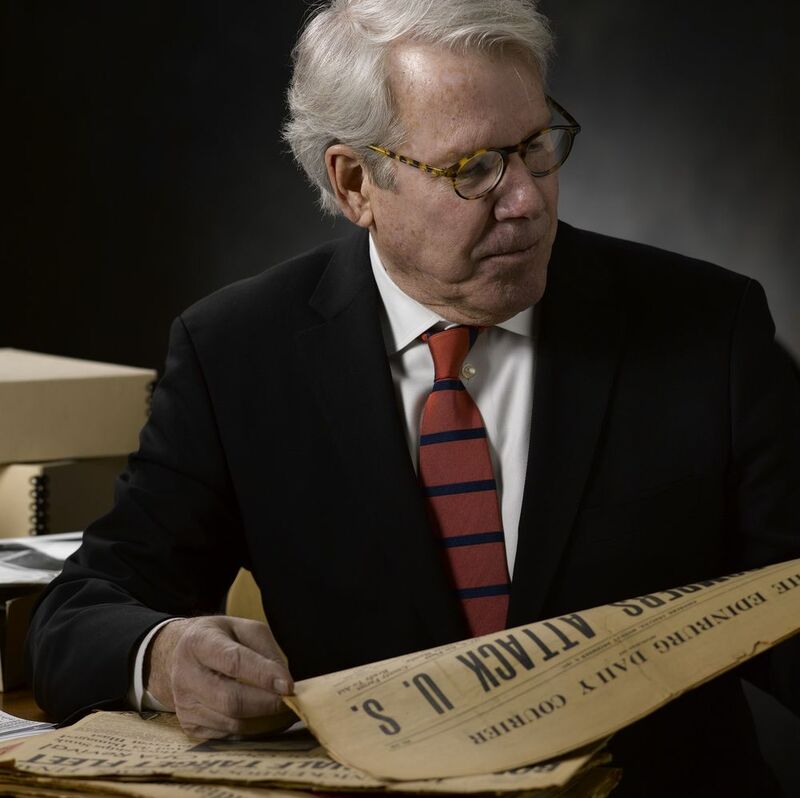 He spent sixteen years on Wilshire Blvd and Madison Avenue before he founded Douglas Keeney & Company, a publishing and marketing agency with various business interests including content creation for cable television networks and packaging books for NY publishers. Keeney is a regular speaker at colleges, universities and association. His most recent engagements include appearances as a keynoter or panelist at the University of Nevada/Las Vegas, the University of Virginia, Xavier University, the University of Rhode Island and the Air Force Association. 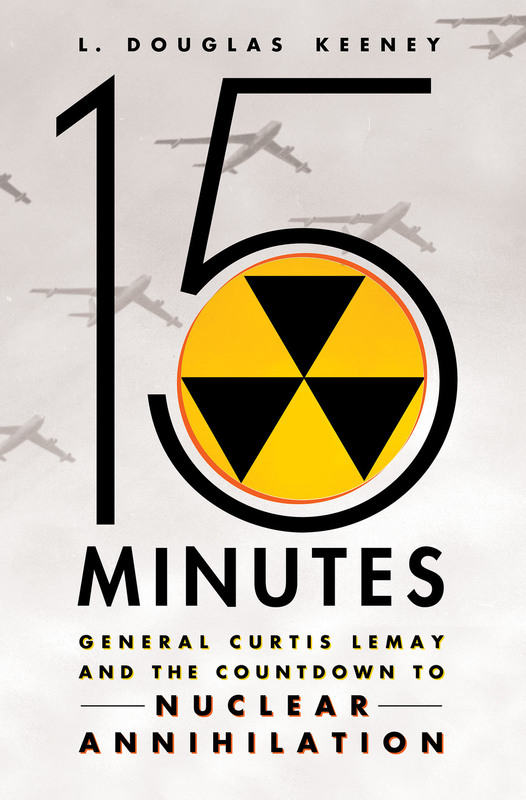 The Alphabet Soup of Nuclear War (Based on the book 15 Minutes: General Curtis LeMay and the Countdown to Nuclear Annihilation). See online video clips. 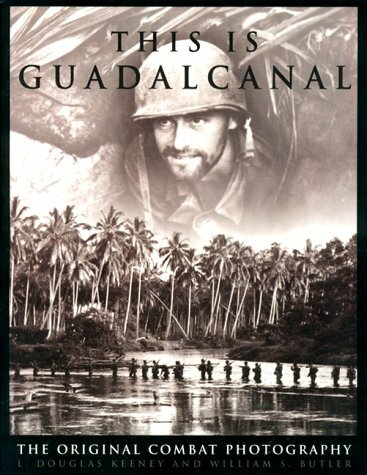 Lost in the Pacific, based on his book Lost in the Pacific. See online video clips. Keeney lives in Louisville, Kentucky with his wife the journalist Jill Johnson Keeney. (Left) Speaking to the audience at the Virginia Film Festival. Keeney is on the far right. 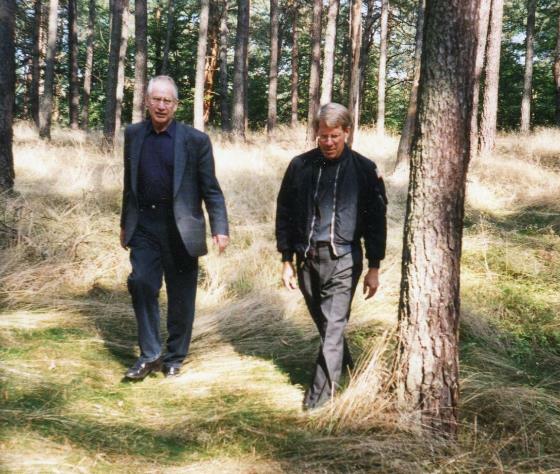 Douglas Keeney with Markus Wolf, former head of East Germany's spy agency, Stassi. Seen in Prenden, East Germany, just after the Berlin Wall came down. "BURSTING WITH STORIES TO BE TOLD"
What do you see here? In truth, you're looking down from space on New York City with Philadelphia below and Boston above -- and clouds offshore. We saw a book. 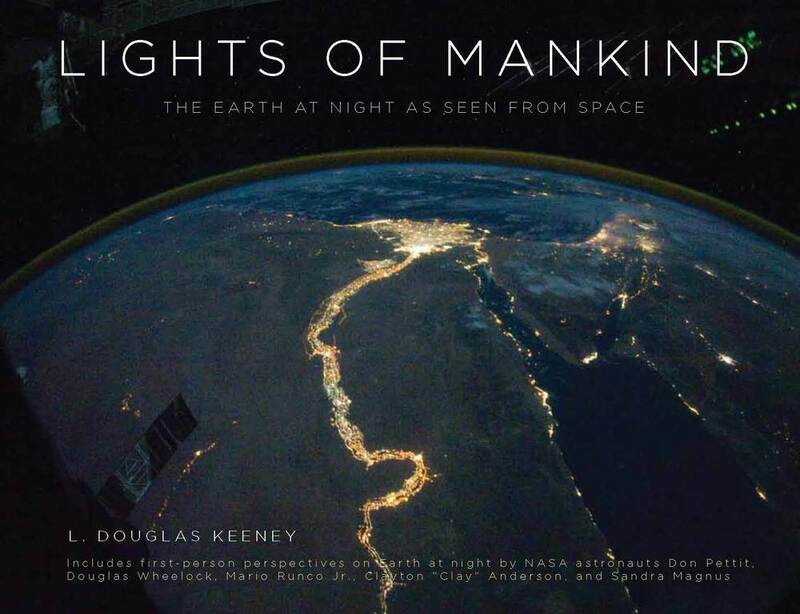 Our book, Lights of Mankind, began when an astronaut Tweeted a picture of Earth at night from space. It was the seed from which sprouted one of our most popular books, our most entertaining keynotes and a beautiful series of teaching posters. Keeney was one of the co-founders of The Military Channel. Seen here in the New York Times. 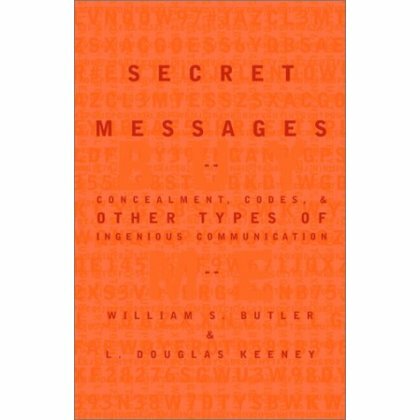 "In this brief volume, popular military-historian Keeney describes the discussions and negotiations leading up to the D-Day invasion. He focuses on internal disagreements within the American leadership, for example, on whether George Marshall or Dwight Eisenhower would command the invasion forces, and, even more compellingly, on differences between the Big Three—the U.S., England, and the Soviet Union—on how to conduct the war’s endgame. 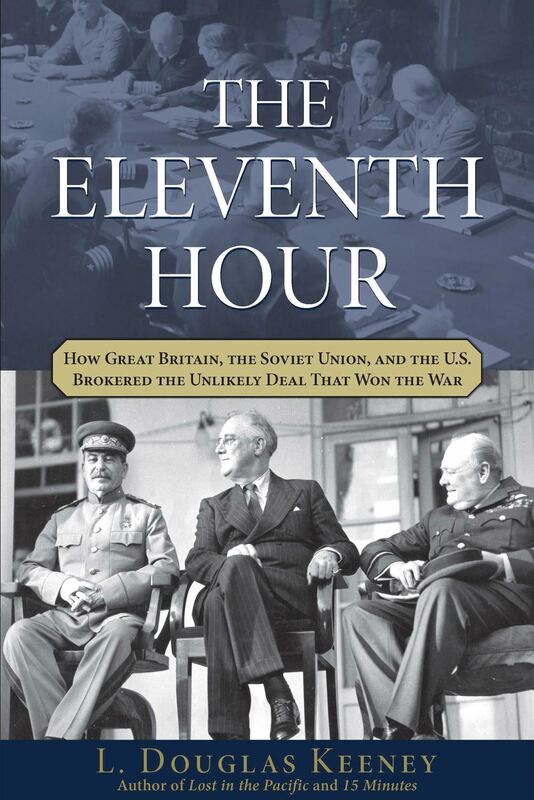 Describing the secret meetings aboard the U.S. battleship Iowa and the elaborate and perilous arrangements resulting in the summit at Tehran, Keeney provides both military and personal insight into FDR, Churchill, and Stalin. He offers abundant evidence of Churchill’s stubbornness in fighting for a second Mediterranean front, even if it were to delay the cross-channel invasion, and presents a convincing and revisionist view of Stalin as a reasonable and even jovial force in the discussions, though in no way minimizing the leadership of FDR and his military leaders. This is solid, revealing, well-researched history of a fascinating and pivotal period in WWII."